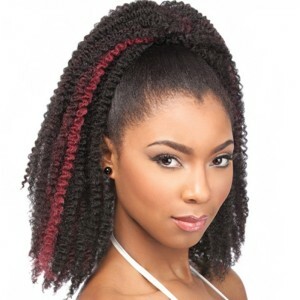 In the image is a heavily textured style for black women who craves layers of strong tight curls for maximum oomph. Extensions require little maintenance, and you could literally change your look every other month! 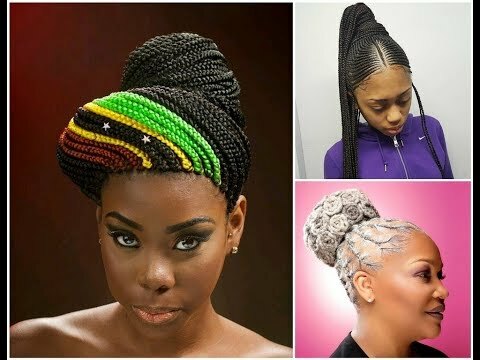 The sides cascade softly around the neckline but the back continues to deliver tons of curls and endlessly drapes those beautiful crochet braids all the way down the spine. 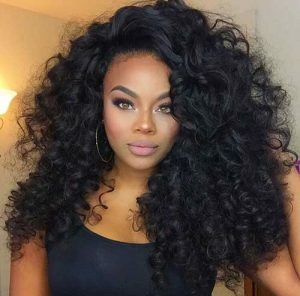 Curly weave hair styles create a look where volume is high on the agenda.